Take a moment to relax with a signature drink by our outdoor firepit. Endless stretches of white sand, stylish outdoor pools, beautifully designed bars, or elegant restaurants. Whatever your preference, you'll find it at our Long Beach hotel. Oozing with classic California chic, our plush guest rooms come equipped with everything to make your stay with us perfect. Centrally located in this oceanside paradise, our hotel allows you to explore the world-renowned Aquarium of the Pacific without having to go too far afield. Our resident Navigator Steve has all the inside knowledge for any guest who wants to discover why visitors to Long Beach keep coming back year, after year, after year. Fans of music and darkly-lit bars with character will happily fall for Harvelle's. Put on your dancing shows and grab a drink! Upholding the legacy of its Santa Monica brother, Harvelle's instantly became a hit after its opening in Long Beach in 2011. Creative cocktails are in abundance and so are the food options, with burgers, sandwiches and other scrumptious grub. Known for hosting live music acts regularly, Harvelle's is a great place for music lovers, especially, jazz and blues lovers. Hop into this sensational venue and be ready for an evening of drinks, dancing and music. 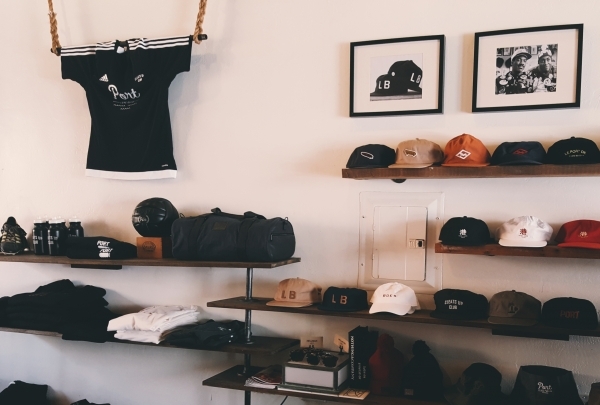 Located in the East Village Art District, Port offers unique clothing and accessories to fit the surf/skate lifestyle. From the vintage motorcycle in the front display to the hip hop music playing, Port offers a creative spin to the casual sportswear boutique. Highlighting it's roots in Long Beach, Port features jackets and hats with the LB initials along with other premium surf and skate brands. As you shop for new kicks or a new snapback, patrons can engage in the modern art displayed around the store. Name brands like Puma, New Balance and Converse line the walls at Proper, where finding a great new pair of sneakers is a breeze. Proper is a sneaker boutique in Long Beach, stocking ultra stylish pairs of footwear. Shop for exclusive collections from brands like Abington, Adidas, Reebok, Converse, Nike, Puma, Gshock, New Balance and many more. 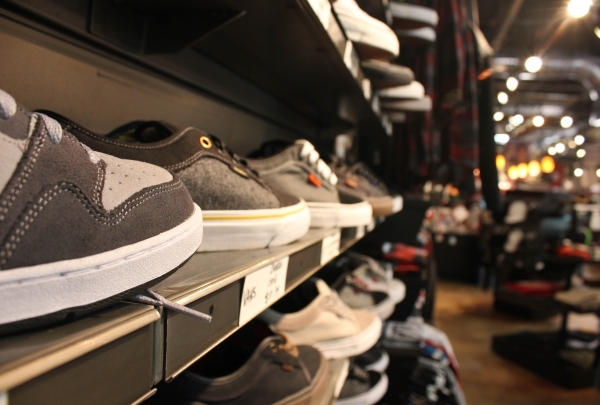 Their Vans collection is amazing, so hop into this store and feel a bounce in your step as you hop out sporting a pair of stylish footwear. History comes alive at this 19th-century Mexican-American landmark! The expansive grounds include a truly impressive adobe home. Declared a National Landmark in 1970, Rancho Los Cerritos was built in 1844 and was the largest and most impressive adobe residence erected in southern California during the Mexican period. Spanning a rich history - Spanish, Mexican and American California, it now operates as a public museum. Besides the beautiful Victorian-style home, there is an Italian Garden, a research library, a gift shop, and a visitor center exhibiting the history of the establishment. 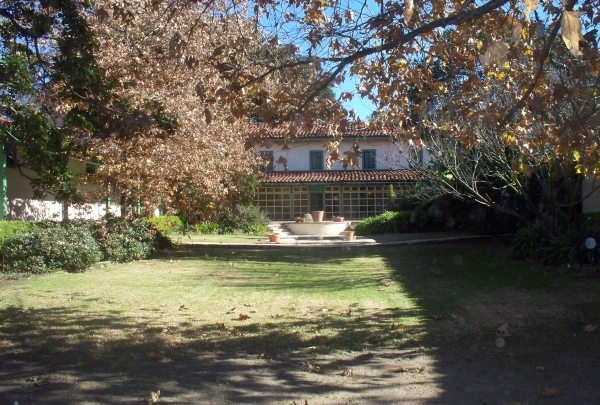 Rancho Los Cerritos also has tours, programs and events regularly - a great site to learn the local history. Enjoy the Earth's bounty the way it was intended to be. 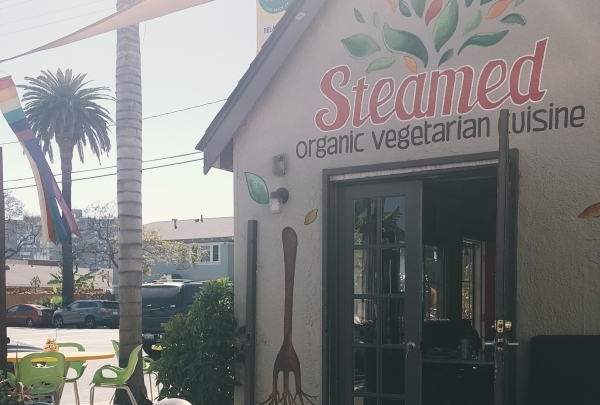 With a menu that will leave you feeling satisfied and not one bit guilty, Steamed provides the locals with a great option for organic, vegetarian meals. The Earth bowl is one that should not be missed. Paired with an organic cola, you'll not only feel great about your health but feel confident that you are supporting our Earth's sustainability. 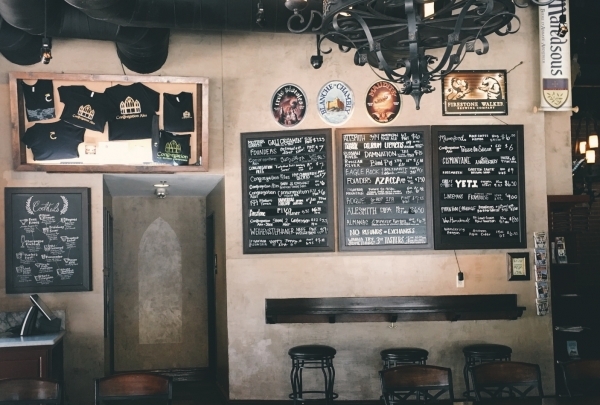 A micro-brewery located in Downtown Long Beach with a constant draft rotation of 30+ craft beers. After walking down a busy downtown street, find your sanctuary at Congregation Ale House. Don't let the dark lighting, Gothic chandeliers, and gargoyle figurines fool you. The food is heavenly. 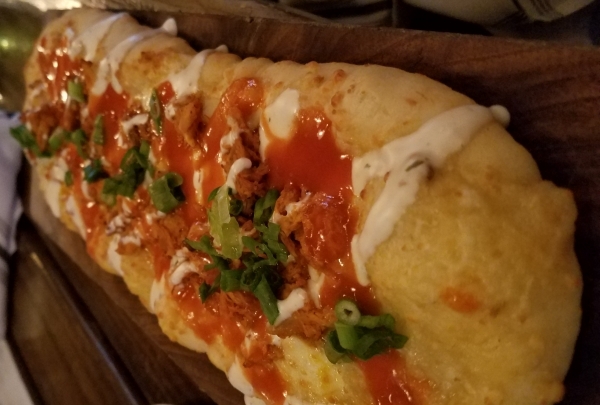 Serving craft beers from the local area, including from their own brewery, you'll find that they pair very well with the delicious tater tots and various dipping sauces they offer. With two destinations in one BO Beau is the perfect blend between casual and formal dining. The Main Dinning room glows with candlelight and features a French infused menu with excellent service. After dinner you can walk up stairs to the Roof Tap. An open air beer garden with over 50 beers on Tap and over 80 Vodkas and craft cocktails. The perfect place to start or end the evening. Stroll into this eclectic record shop for your pop-culture fix! Music lovers, rejoice! 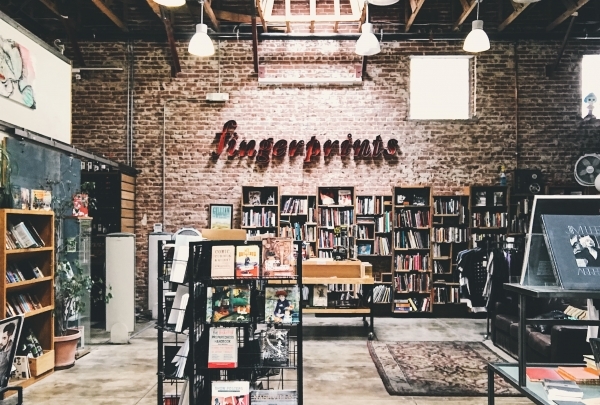 Located in Downtown Long Beach's very own East Village Arts District, Fingerprints Music is your one-stop shop for (new and used) vinyl records, cassettes, DVDs, books, and much more. Spend your afternoon perusing their unique goods and spend your night watching one of their live music performances. Scenic vistas await you at this peaceful waterside park, conveniently located right next to the popular Aquarium of the Pacific. Located right across the marina from Shoreline Village, this scenic park rests right near the pacific ocean. A stroll here brings calming joy as you feel the cool breeze soothe you after daylong activities. 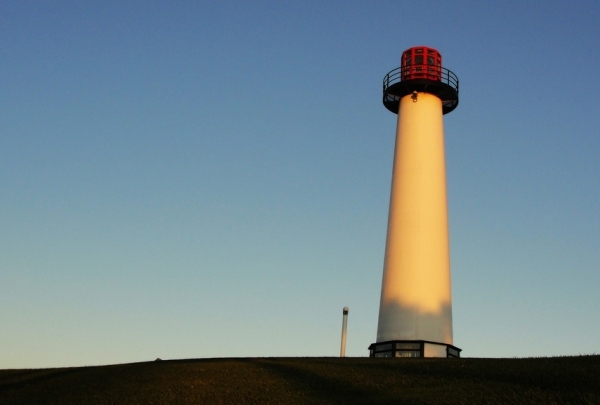 Enjoy early morning jogs, evening playtime with pets or get your camera to shoot postcard-like photographs - a lighthouse can even be seen from the park's vantage point. 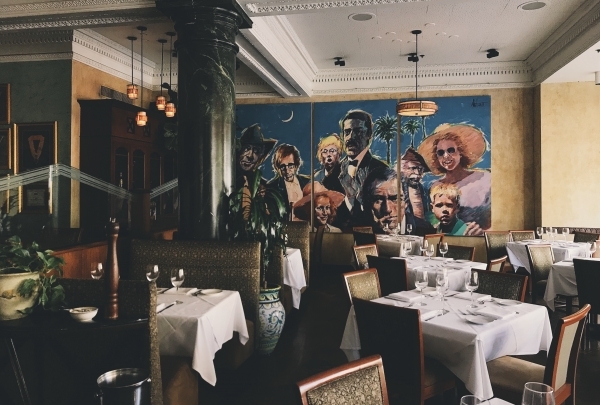 In addition to serving a wide variety of homemade pastas, L’Opera gives visitors a uniquely Long Beach experience through their chef Walter Cotta's locally-inspired kitchen. The menu is innovative and it also includes vegan and gluten-free dishes. Local ingredients, inventive recipes and a welcoming ambiance together create a memorable dining experience. Step back in time (the 1920's exact) when you visit The Federal. This bar is housed within what was once the Security Pacific National Bank’s lobby and safe in Downtown Long Beach. Its high ceilings, chandeliers, and dim lighting set an excellent mood for drinks. 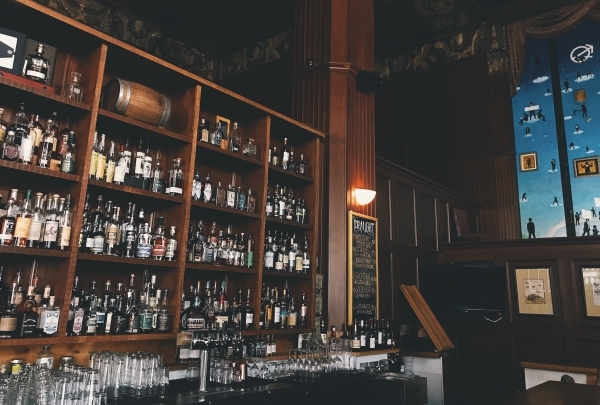 Here's a tip from the locals: underneath the bar is the Federal Underground, a lounge, and speakeasy for dancing the night away. 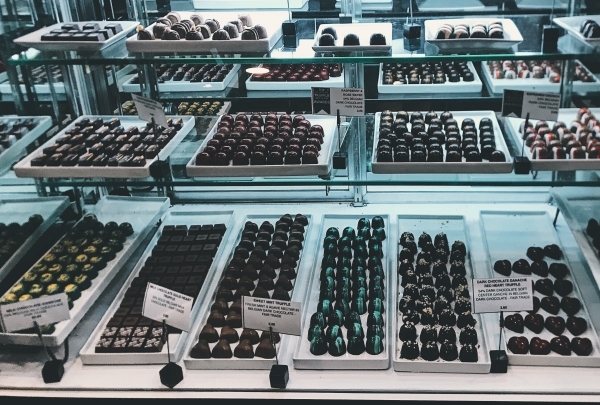 Bite into something sweet at this chocolatier, unique to Downtown Long Beach! At Romeo Chocolates, only the finest handmade (and handpainted) truffles, bonbons, and other chocolate treats are available for purchase. The shop's chocolatier (and namesake), Romeo, is often in shop, excited to share his knowledge and expertise with visitors, all about how he makes his fabulous treats! In addition to friendly service, you can enjoy beer or wine as a pairing with your chocolate! Into street-art? This Dragon76 mural is a must-see for you! POW! WOW! Long Beach is an event that takes place once every summer in which artists paint murals all over town. 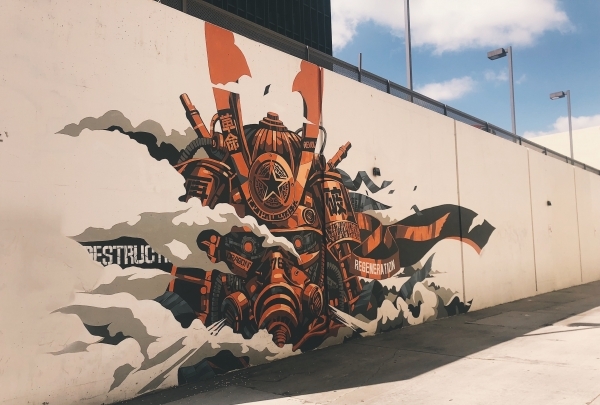 This mural was painted by artist Dragon76 in 2016, and is a must-see when you're exploring Downtown Long Beach. This 1970s Russian military submarine is the real deal. Climb and crawl through its corridors while learning about its history. 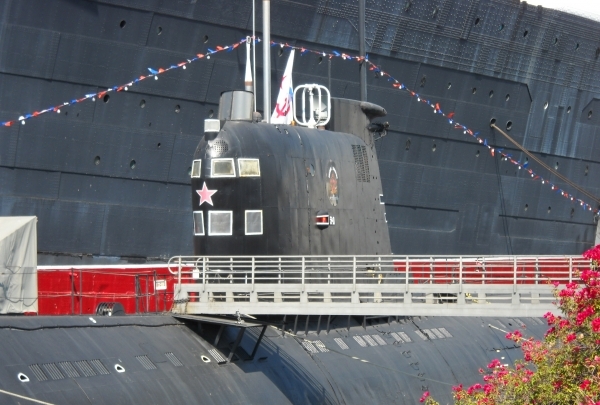 The Scorpion Submarine Museum tells the heroic tale of the legendary military submarine that was constructed in 1971. Visitors exploring this military vessel are provided with a graphic account of the Cold War. There is an interesting display of how the early naval officers lived in the submarine. The museum encourages guests to touch and feel the exhibits on display. There is an on-location gift shop specializing in local Russian artifacts. 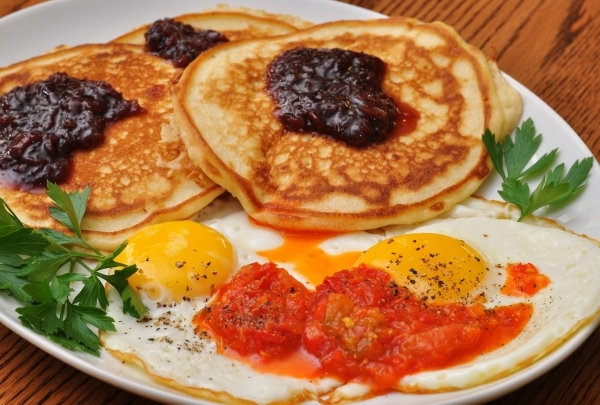 Dig into quirky omelettes such as Hobo, Hang Over and Taco at this local favorite. 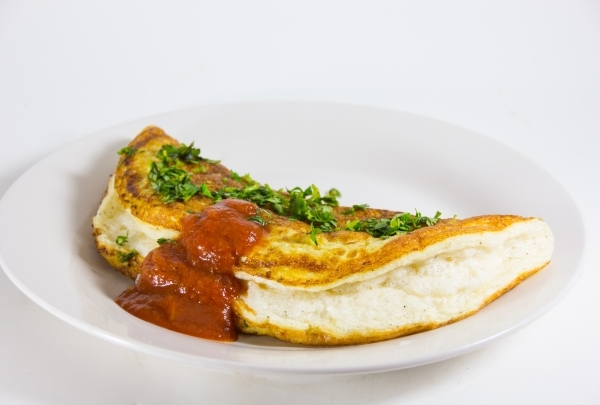 The Omelette Inn is the perfect place to order a delicious omelette - try the Hobo Omelette, which is bursting with hickory smoked bacon, black forest ham, and cheddar cheese - among other breakfast items such as Eggs Benedict and Country Fried Steak. When in Long Beach, take family and friends for a quaint breakfast or lunch (served all day) in a cool nautical-themed interior. Imagine a steamy stack of rich, buttermilk pancakes and delicious omelets roughly the size of your head - satisfaction guaranteed. Right near the water on Long Beach's scenic Ocean Drive, Long Beach Cafe offers a truly massive menu of American diner hits as well as Greek food. 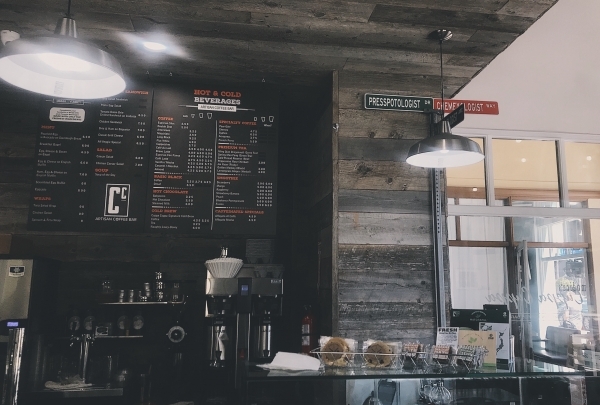 The huge portions are one of the distinguishing parts of this otherwise humble cafe's operation, allowing guests to take home a sizable portion of the tasty breakfast plates, soups, salads, sandwiches, burgers and more. Make sure to sample from the menu of Greek specialties, calling on the childhood favorites of owners Stanitsas brothers. This swanky bar has earned its sturdy reputation with an inspired and ever-evolving wine and beer list. The snacks are great, too! The Wine Bar is Long Beach's Downtown prime destination for fine wine, crafty beer and live entertainment. Their comfy couches make you cozy as you lounge around or watch a sports game. Hailing wine connoisseurs (but not forgetting beer lovers), this place boasts 22 wines from around the world and 25 micro & craft beers. Their fantastic grub, like Smoked Salmon, Humus and pretzels are great accompaniments to your drink. 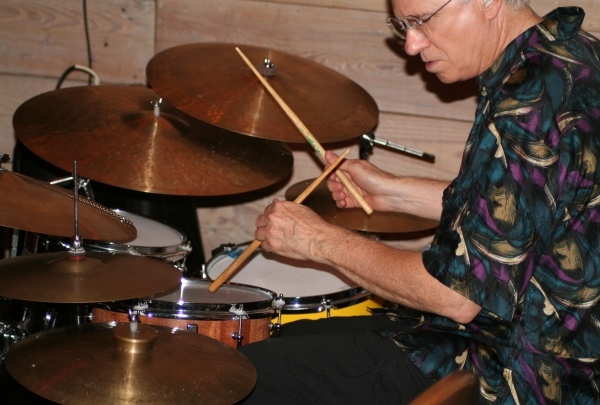 Be there when they organize live music acts or an art display by a local artist. Try their cheese plate, a variety of cheeses served with olives and crackers. If you want to organize a private event here, the Wine Bar is more than glad to accommodate. If you're looking for a last minute gift for that special someone or just looking for something a little different, this is the place for you. MAKE Collectives features all merchandise made by local Merchants and Artists, with a variety of items from jewelry to clothing to sunglasses and more. You'll definitely find something that you won't get anywhere else. Super-hip, industrial interiors make this coffee shop a must-visit here in Downtown Long Beach. Housed in a landmark building, Cuppa Cuppa offers only the most eco-friendly beans. Enjoy delicious pastries, delectable smoothies, and artisanal sandwiches along with your craft coffee on their tranquil patio. Relax, unwind, and try the Toasted Marshmallow Latte: one of their specialties! Pronounced Ann-nay-say, this boutique houses women's wearables as unique as its name! What separates Anneise from other boutiques in Downtown Long Beach is its careful curation of trendy, minimalist pieces, all made in the United States. 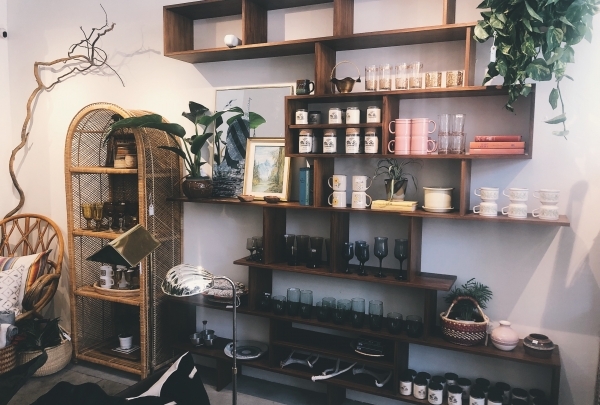 Whether you're shopping for a brand new purse or even a house plant to liven up your living space (a local plant vendor also sets shop here), you're bound to find something you'll love at this cozy, dreamy, California-cool boutique. Rulebreakers, rebels, and cool girls rejoice! 4th and Elm helps you celebrate and stylize your edginess. 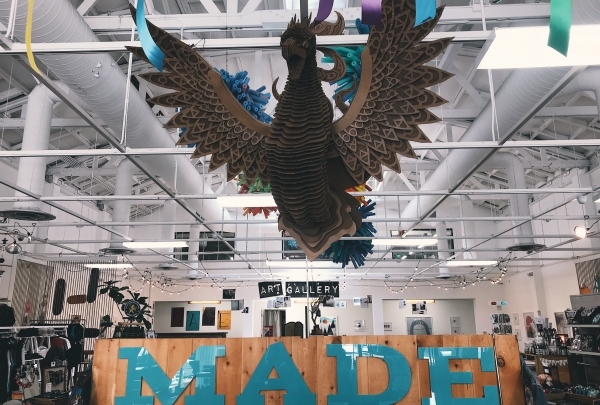 Looking for a unique, personalized shopping experience with a creative edge? Look no further than 4th and Elm Boutique! 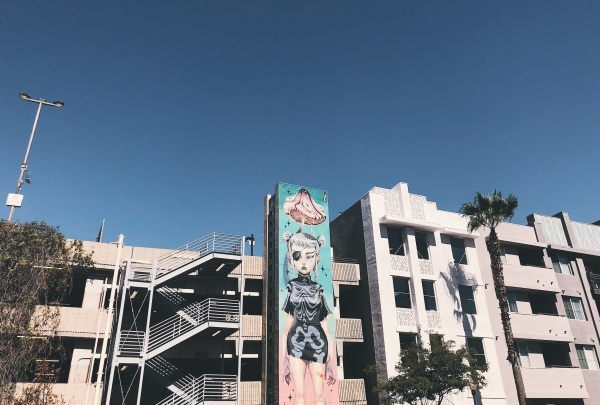 Appropriately located in Downtown Long Beach's East Village Arts District, 4th and Elm is a true treasure, curated for the cool girls and rebels. Shopowner, Lori, will be more than happy to help you break out of your comfort zone to create a style that is uniquely you! Get your sweet or savory fix here at Pie Bar, where deliciousness made from scratch awaits you! 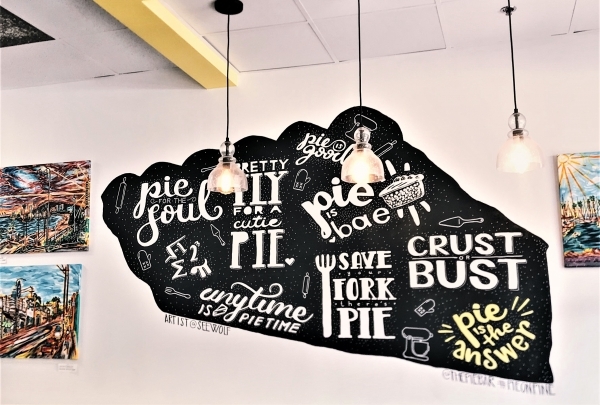 Whether you're looking to try a savory meat pie, a sweet pie slice, pie in a jar to-go, or a flight of pie shots, you are guaranteed to bite into a piece of fresh, homemade deliciousness here at Pie Bar. Stop in any time from 3:14 pm (a nod to mathematical pi) to 7:00 pm for Happy Hour, where you can snag a deal such as $2 off beer or wine to enjoy with your pie. Satisfy your sweet tooth with a scoop of ice cream or two from this local favorite. This ice cream shop really keeps true to its Long Beach roots through the use of local ingredients. Whether you want a float, cone, or sundae, the shop's employees are known to give out delightful recommendations. The Black Ring Nitro Cold Brew float with two scoops of Black Ring Coffee is every caffeine lover's dream come true. It doesn't get any fresher than Rainbow Juices for your pressed juice fix. 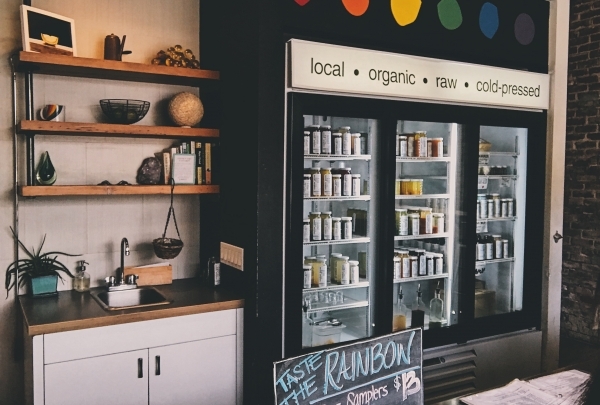 With ingredients sourced from local, organic farms, it's no wonder Rainbow Juices has become a favorite amongst Long Beach locals, who love to support businesses that support our local community. Whether you're looking to try just one juice or a whole set to cleanse and purify you body, consider this your one-stop shop. Their juices with almond milk are especially a treat! Enjoy healthy, environmentally conscious fare with chic ambiance. 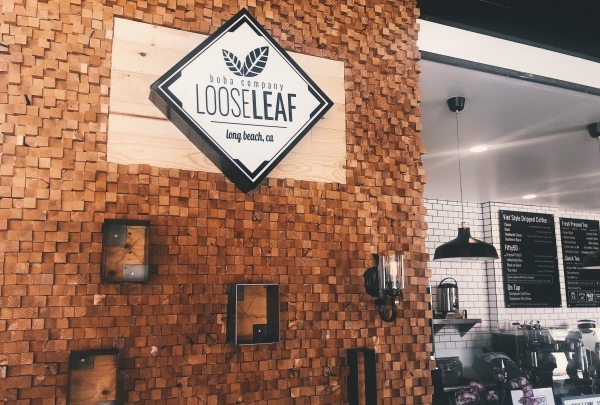 Welcome to Long Beach's very first raw, vegan food café! Whether you're looking to enjoy a smoothie or a sandwich, Under the Sun is sure to offer you nothing but the finest, locally-sourced ingredients. Their matcha green tea is a stand-out on their drink menu for those looking to try a beverage with a bold flavor! Enjoy this with an LBC sandwich in their chic brick building. As soon as you walk into Loose Leaf Boba Company's unique space, your eye will be immediately drawn to a neon pink sign that reads, "Don't Teas' Me." This playful pun encapsulates the mood of the shop. 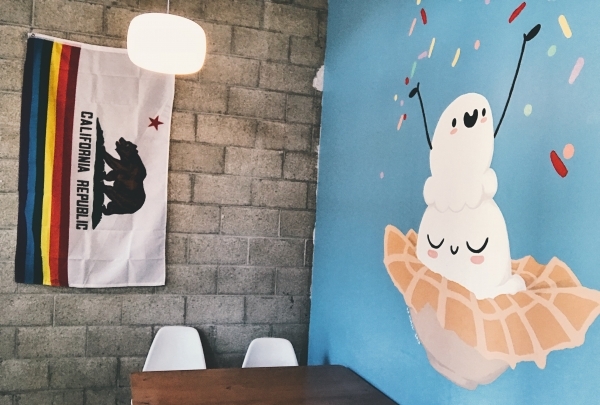 It's a playful, artfully-decorated space that offers unique flavor options of Boba, a Taiwanese dessert beverage. Try the SoMatchaCoffee, half green tea and half Vietnamese iced coffee! 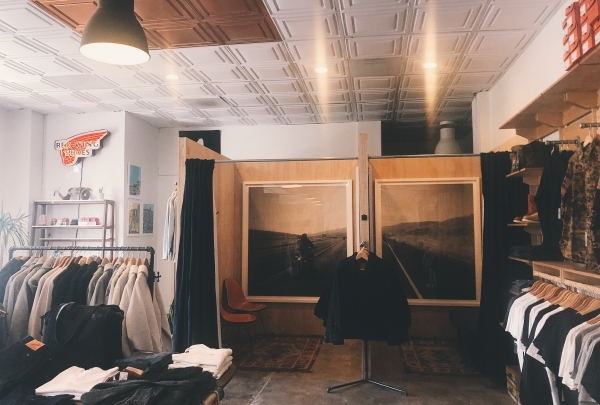 A menswear shop in Downtown Long Beach's East Village Arts District that offers high quality goods. One of the first things you see when you walk up to Snake Oil Provisions is a decal on the window that says, "The cure for Common." This sentiment truly sums up the menswear available for purchase in this shop. These goods are not only high quality but also truly encapsulate the look of a unique, stylish Long Beach local. Stop in for great clothes and great, personalized customer service! A home décor and magical goods store for the free-spirited bohemian in your life! Named after the owner's philosophy that everything comes full-circle in the universe, ReCircle Home, located in Downtown Long Beach's famous East Village Arts District, truly embodies the bohemian aesthetic unique to the location. 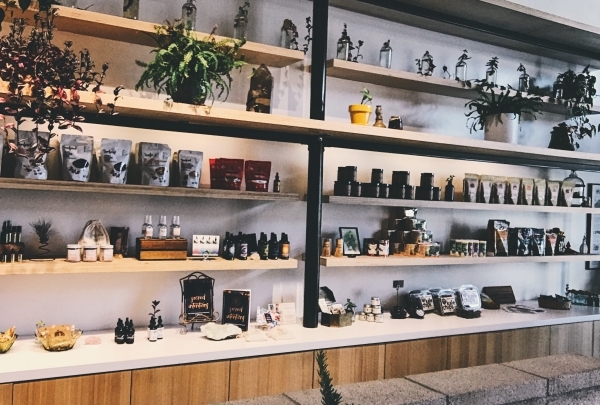 Whether you're looking to acquaint yourself with crystals and tarot, or just looking for unique home décor items, this store truly has something for every free-spirit. 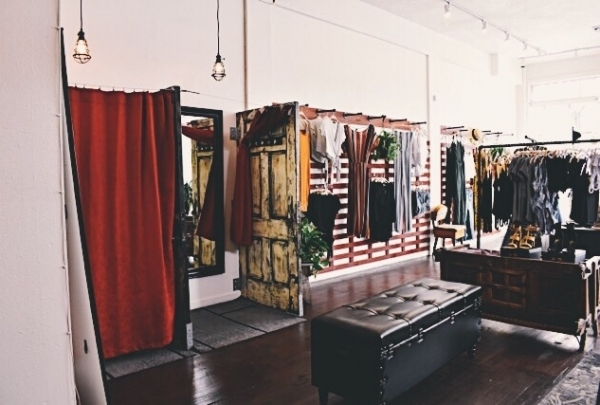 Vintage clothing and accessories located in our famous East Village Arts District. With its charmingly Southwestern-reminiscent aesthetic, ¡Ay, qué vintage! 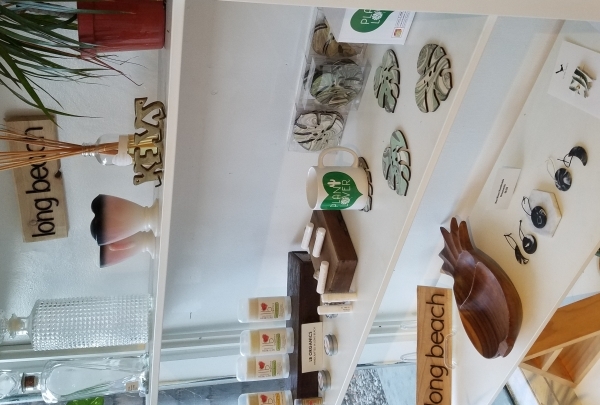 is one of the most uniquely curated vintage stores in Downtown Long Beach. 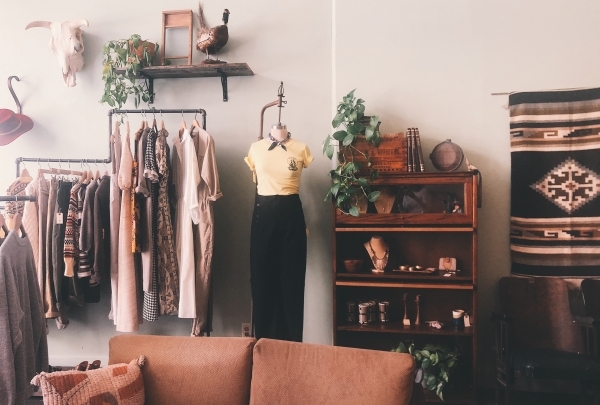 The continually-rotating wide array of goods, including vinyl records, bandanas, jewelry, and clothing, ensures a unique, vintage find every time you stop in! Check out the stunning work by artist Kaplan Bunce. Having begun in 2015, POW! WOW! Long Beach is a summertime, week-long event in which muralists paint artwork across the city. 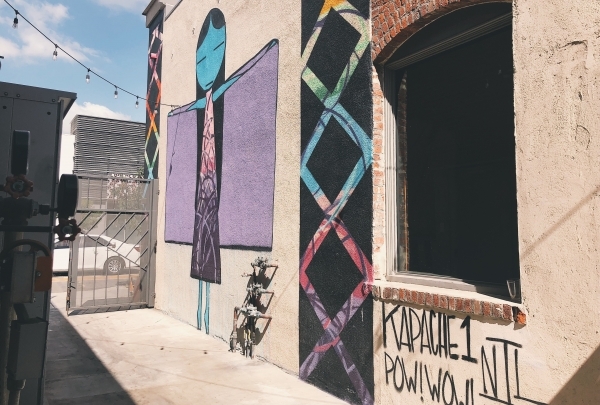 This mural, painted by artist Kaplan Bunce in 2016, is a must-see when you're walking or biking around Downtown Long Beach's East Village Arts District. Try specialty, small batches of wine and beer alike in the heart of Downtown's East Village Arts District. 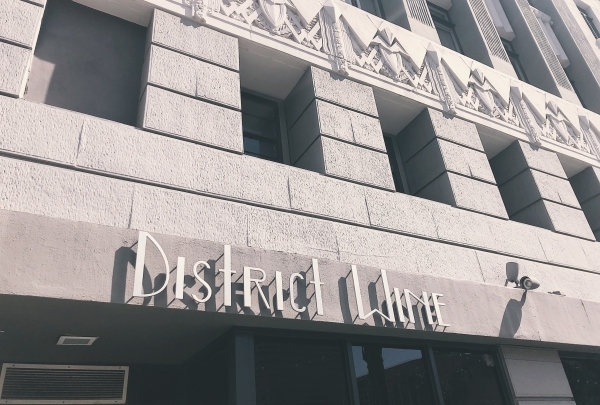 With both specialty, small-production wines and craft beers, District Wine has something for everyone. This wine spot also offers various memberships, such as a Monthly Wine Club, a Monthly Beer Club, and a Quarterly Premium Club, for exclusive insider invitations to events, as well as discounts on wine tastings! 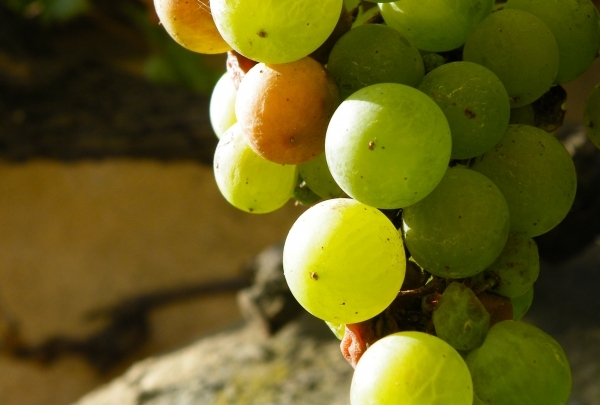 Try their Ned Sauvignon Blanc along with prosciutto bon bons. Looking for vintage-inspired, bohemian pieces for your home and your closet? Check out 6th and Detroit! 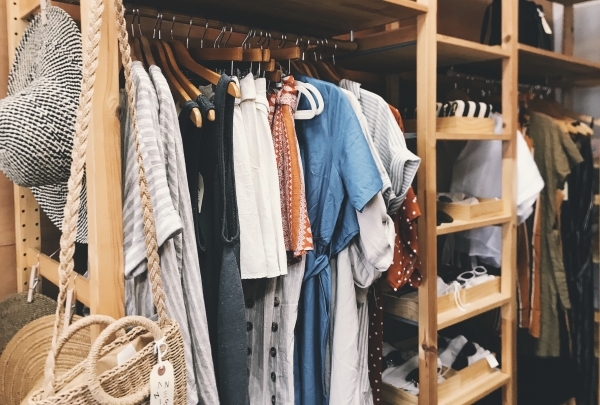 Need a one-stop shop for clothing and home goods? Look no further than 6th and Detroit. 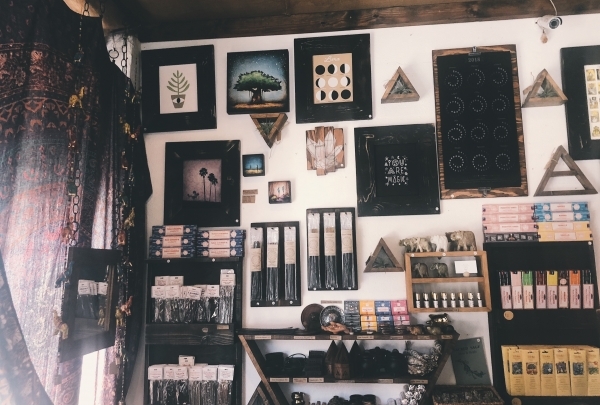 The shop's vintage and bohemian aesthetics really encapsulate the style of a Long Beach local, as well as the general vibe belonging to our East Village Arts District, where the shop is located. This shop truly has it all, whether you're looking for a brand new bathing suit or Turkish towel (maybe both)! Painted in 2018 as a part of POW! 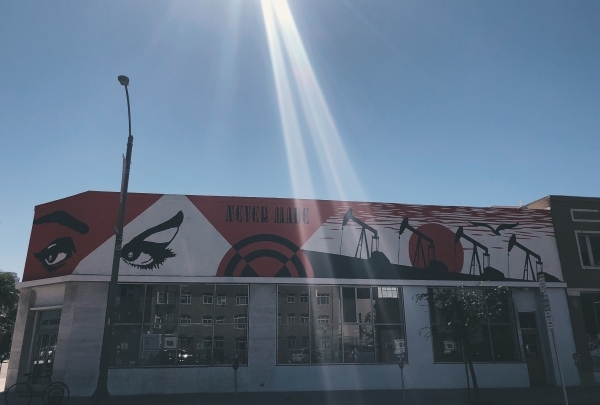 WOW!, a weeklong event in which muralists create art here in Downtown Long Beach, this piece by NeverMade is especially eye-catching (pun-intended). When you're done appreciating the mirror, you can visit our local Community Art Center, which the mural is painted on! One of the most unique of the murals in Downtown Long Beach, be sure to catch a glimpse of this artwork by Lolo YS! Artists and art-lovers alike will find much joy and whimsy when they find this mural by artist Lolo YS, painted in 2018 as a part of POW! WOW!, at the core of Downtown Long Beach. 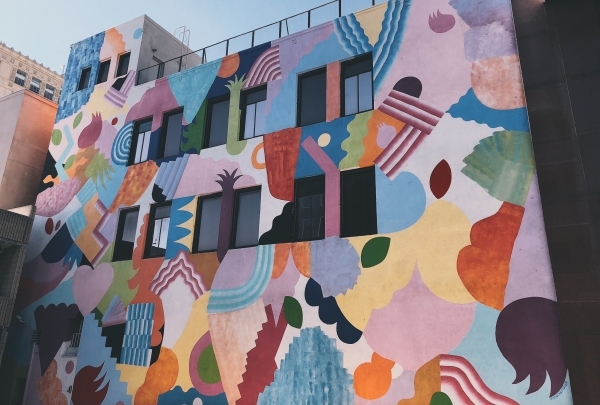 Add a pop of color into your life when you check out this mural by artist Mina Hamada. Make sure you don't miss this particularly stunning mural when you visit Downtown Long Beach! Painted in 2017 by artist Nate Frizzell as a part of POW! 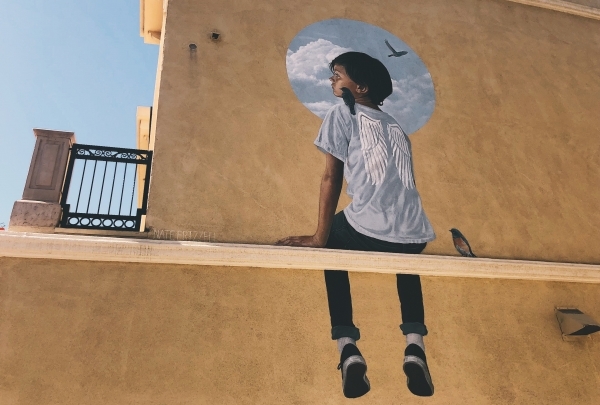 WOW!, the citywide art event in which artists paint a mural on one of the city's walls, this mural of a boy sitting with birds is especially stunning. It's on the side of a wall of a Poke restaurant Downtown, so make sure you keep your eyes peeled so as not to miss this gorgeous artwork! Painted as part of POW! WOW!, this mural by Hitotzuki cannot be missed when perusing Downtown. Downtown Long Beach is an artistic city so it comes as no surprise that there are gorgeous murals painted all over the city. One mural in particular is especially stunning. 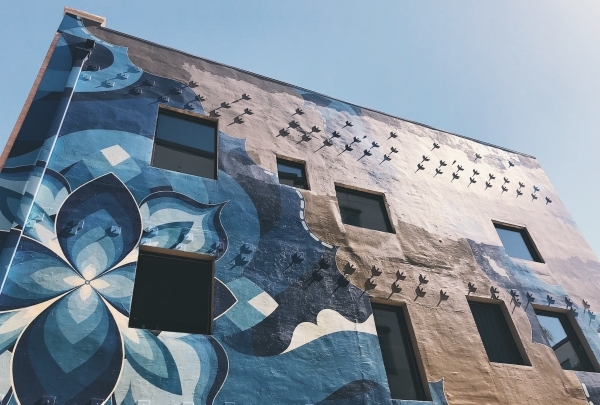 Painted in 2016 by artist Hitotzuki, the gorgeous use of blue paint to make a huge floral pattern is especially calming amongst the bustle of Downtown Long Beach.